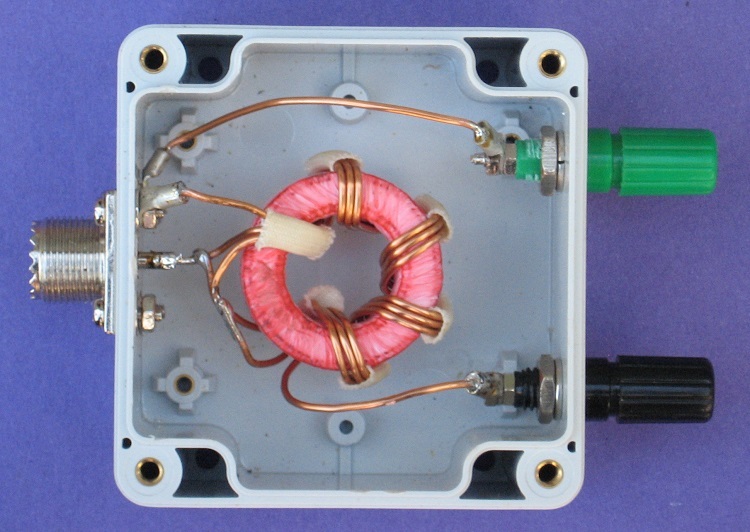 9:1 voltage unun using a L15 ferrite core. With the view to establish a quick and easy multi-band antenna deployment for portable and camping operations a simple long wire antenna with an earth or earth plus counterpoise arrangement with a 9:1 voltage unun is one possible solution. Requiring a unun to feed a long wire antenna ideally without a tuner a 9:1 voltage unun design using a L15 ferrite toroid core was selected. Figure 1 Typical 9:1 voltage unun and long wire antenna configuration. 1.25mm Enamelled copper wire was used in a triple bifilar winding of 4 turns wound evenly spaced around the L15 ferrite toroid core with the three individual windings wound close together. 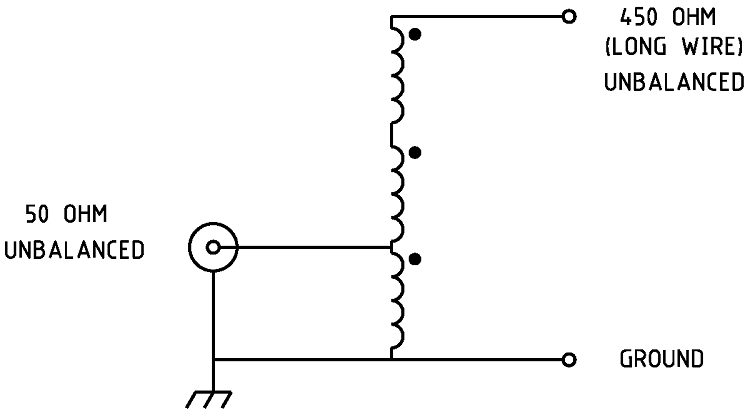 Figure 2 Schematic of the 9:1 voltage unun. Typically unbalanced = 50/75 ohms too unbalanced = 450/675 ohms. 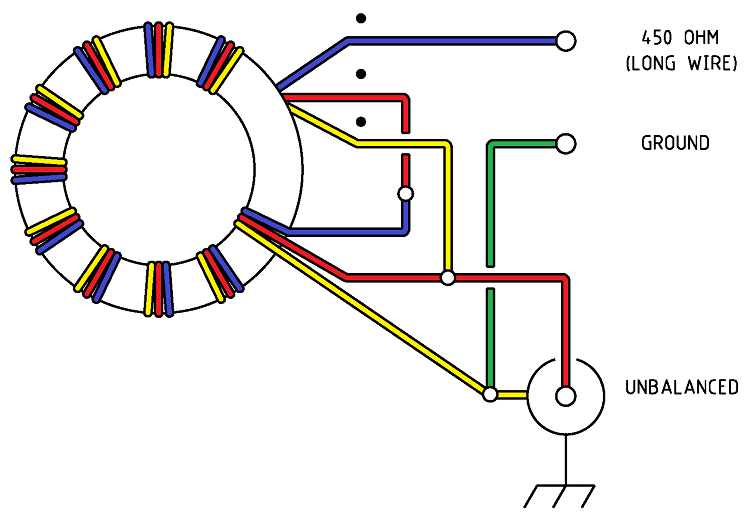 Figure 3 Wiring of the 9:1 voltage unun. Pink heavy duty Teflon plumbers tape. About 3 x 400mm of 1.25mm Enamelled copper wire. Black and Green binding posts. Photo 1 Completed core winding assembly. note fibre glass tube sections to hold winding groups together. The evaluation of the efficiency of the unun over the desired bandwidth (1.8 - 30MHz) was carried out by testing the impedance that could be seen from transceiver side of the unun to a resistive load applied to the antenna side of the unun using an antenna analyser. Figure 5 AIM 4170C antenna analyser plot viewing a 450ohm resistive load through the unun. Note the 450ohm resistor appears as 50ohms due to the 9:1 unun ratio resulting in an ideal SWR of 1:1. Figure 6 AIM 4170C antenna analyser plot viewing a 100ohm resistive load through the unun. Note the 100ohm resistor appears as 11.1ohms due to the 9:1 unun ratio resulting in an ideal SWR of 4.5:1. Figure 7 AIM 4170C antenna analyser plot viewing a 1000ohm resistive load through the unun. Note the 1000ohm resistor appears as 111ohms due to the 9:1 unun ratio resulting in an ideal SWR of 2.2:1. Phase angle between voltage and current. Figure 8 Plot of the Unun losses verses frequency calculated from the AIM 4170C antenna analyser SWR data. 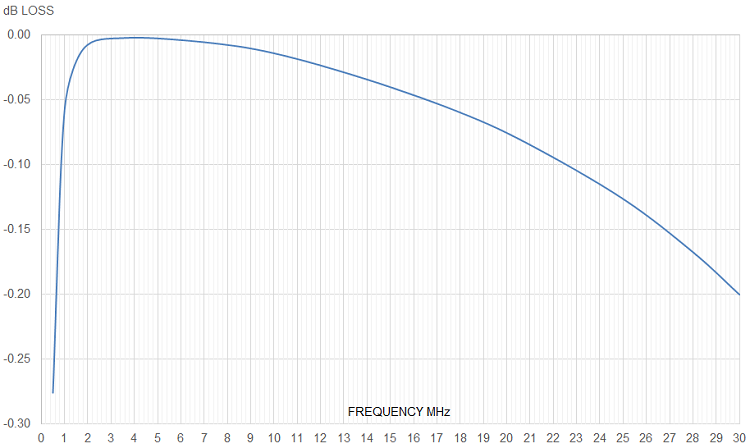 The graph shows the worst loss figure between 1.0MHz and 30MHz at -0.2dB at 30MHz, an extraordinarily low figure.